The story began on a hot day in sun-drenched Andalusia when he first sipped a refreshing glass of Verdejo with its characteristic pale, straw colour and subtle aromas of hay. Sometime later, on Spain’s northern Castilian plateau where the horizons are vast and the climatic conditions extreme, and where the Verdejo grape grows in outstanding pebbly soils, Didier Belondrade began to realise that Spain had not just stolen his heart; it was stirring something deep in his soul. Belondrade y Lurton is more than just a wine. It’s a philosophy, a vision, that especially values caring for the natural environment; working the vines sustainably; meticulous sorting of the berries and handling them with loving care; developing its own yeast cultures; and keeping the wine almost one year in barrel and six months in bottle before its release on the market. 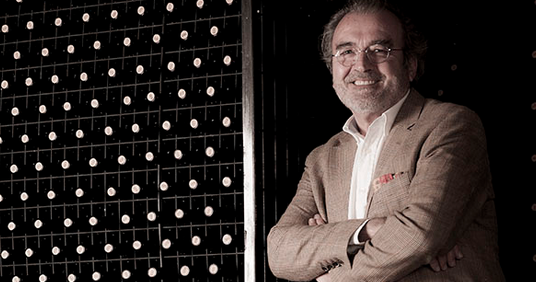 It’s also the signature of the person behind the wine and an affectionate nod to the members of his family, since once he had settled in La Seca, Didier Belondrade began producing two other wines which he named after his two daughters: Quinta Clarisa Belondrade and Quinta Apolonia Belondrade; the former a rosé (100% Tempranillo), the latter an unoaked white (100% Verdejo) and the second wine of Belondrade, which enables an enhanced selection of the lots for the first wine, Belondrade y Lurton.